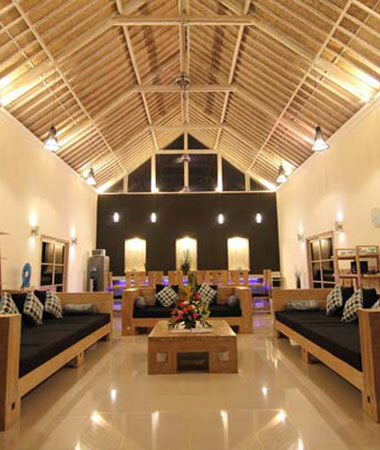 Villa Besar is an Australian Owned and managed villa complex. We are located in the residential area of Seminyak and a ten minute drive to foodies paradise Seminayk. All our villas have been set up with everything that you need including private pool & tropical garden, lounging areas and a fully equipped kitchen. All our bedrooms are airconditioned and have very large ensuites, some having freestanding baths and some having double showers. Pool fences are available upon request in the larger villas. Our villas range from one, two, three, four, five & six bedroom villas. 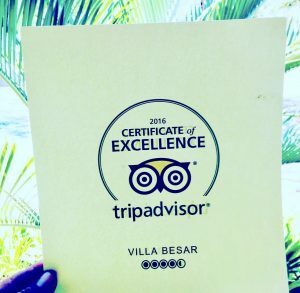 At Villa Besar we pride ourselves in having some of the best staff in Bali. Reception at the front of the complex is open from 8am – 8pm daily along with a security post keeping everyone safe and sound. If you need transport organized it can be done with ease as we have in house drivers with small to large vehicles for any day tours. Also in each villa will be a staff member on call 8hrs per day for daily cleaning, laundry, babysitting or cooking and will be happy to answer any questions regarding Seminyak and the surrounding areas. Room service is also available until 10pm daily including a sneaky cocktail or beverage of choice by the pool. Any tours you need organized in Seminyak, Legian, Kuta, Ullawatu, Nusa Dua, Tulumben our office management team will happy assist you. We include include one vehicle in and out for transfers. 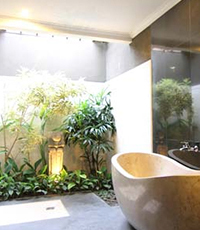 Our Seminyak Bali Villas sleep from 2 people to 16 people up to 105 guests in the one complex in Umalas Seminyak. As much as our villas are not in the heart of Cental Seminyak being within minutes majority of our guests believe its perfect blend of the more tranquil side of Bali whilst having many restaurants from all cultures. Daily breakfast is included and served at the front of the complex in the Happy Buddha Restaurant. A good selection of western and Indonesian breakfast with real coffee, pancakes and fruit.